Very clean and spacious bathroom! We had a great stay in this hostel. The staff is extremely accommodating and will help in any way possible. It is in a perfect location with a great view. Prices are very reasonable and again, the staff is willing to accommodate. Hotel Casa Linger was really great! 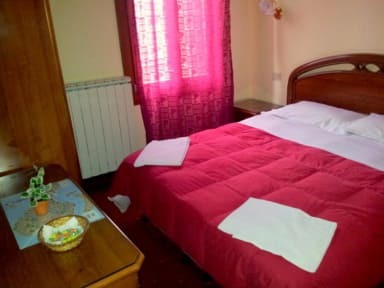 It's not the fanciest of places, but for somewhere to stay at an affordable price I would highly recommend this hostel. The bathroom was clean (although towels aren't free) and the beds were surprisingly comfortable. Location is great - about an 8 minute walk to St. Marks Square and close to ferry connections and waterfront. Clean dorm and bathroom and friendly staff. No common areas so probably not a hostel as most people understand the word. Overall good. Great location but was a strange hostel. The bathroom was disgusting & some of the ceiling felt like it was about to collapse. I would stay there for the location again but I wish it were more clean. 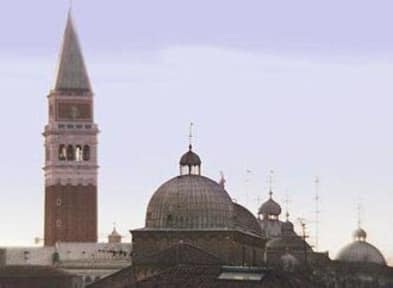 Location is great: a few minutes from St Marks square. Facilities are okay, no lockers and no individual lights. Bathroom did not seem to be cleaned in the two nights I was there as the soap pieces left on the floor of the shower by someone where there both days. Bedding is a quilt without removable cover or top sheet. The common areas look more like a waiting room than a place to meet people. Overall for a short stay when you plan to be out all day it’s fine, not a fun place to meet people. Very good location but that's it. One restroom for many rooms and it's tiny, no shower caddy. The room was super cold, we were freezing, no heating system. No lockers or closet. It's just ok if you want just a bed to sleep for one night, not really a place to stay for more days or buy food and cook. The stove didn't work. Keep in mind there's a lot of stairs to get to the reception, not big deal but if you have heavy luggage, it will be hard. The location is perfect but the rooms are dirty. Our room was a double one without toilet. The floor was totally dirty and the washbasin too. There wasn’t any wardrobe. The worst thing is that the shared toilet is next to the reception, upstairs, so it is very uncomfortable. Also, the owners made much noyse in the morning. I think that it is too expensive. It is not worth it.